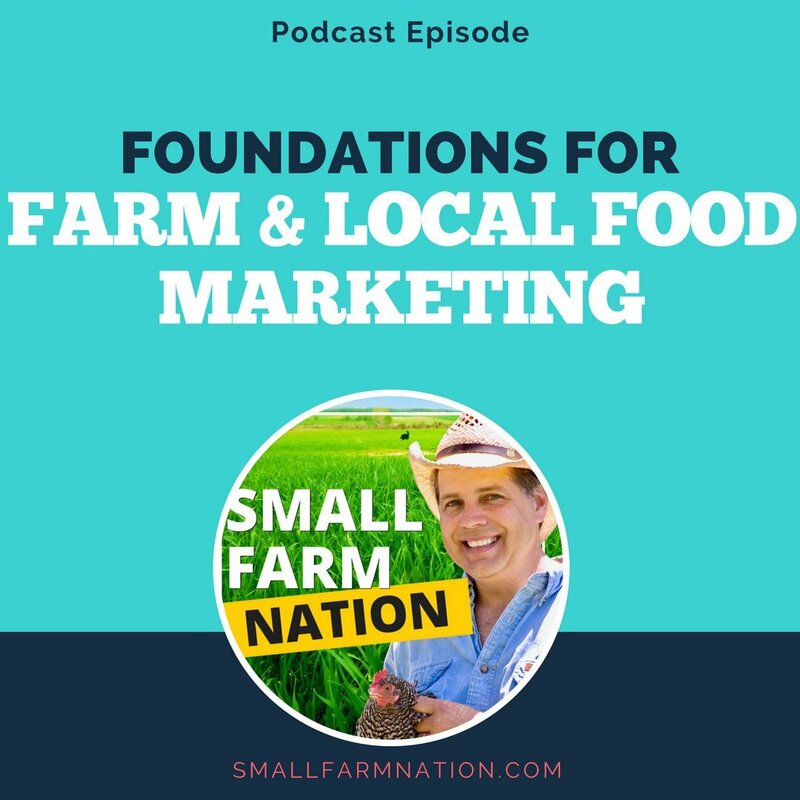 Small businesses routinely fail in every industry segment, but what causes small farms to fail? 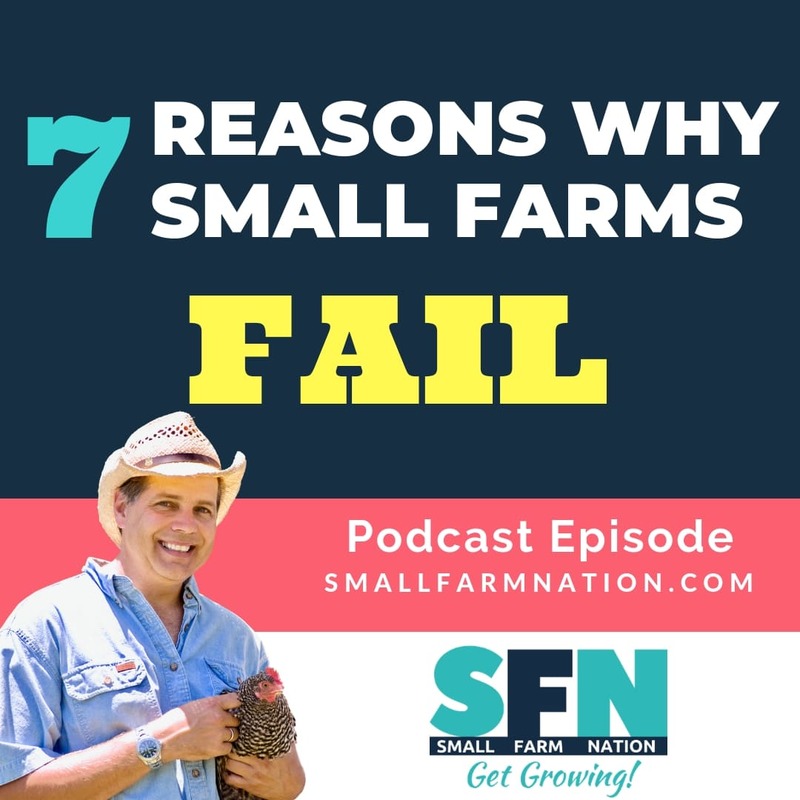 In this episode I share 7 reasons why small farms fail, so you learn what not to do so that your farm thrives. So, starting a business is a risky venture, right? And it doesn’t really matter what sector you start a business in. If you start a restaurant, and insurance or law practice, a car wash or even a marketing agency, there’s a pretty high probability that you’re gonna fail. That’s just a fact. But let’s just examine the reasons why these business fail. And actually, the agriculture sector has a much lower failure rate after 5 years than most industries. For example, 50 or more of agriculture businesses are still going after five years, whereas only about 36 of construction businesses make it the long. 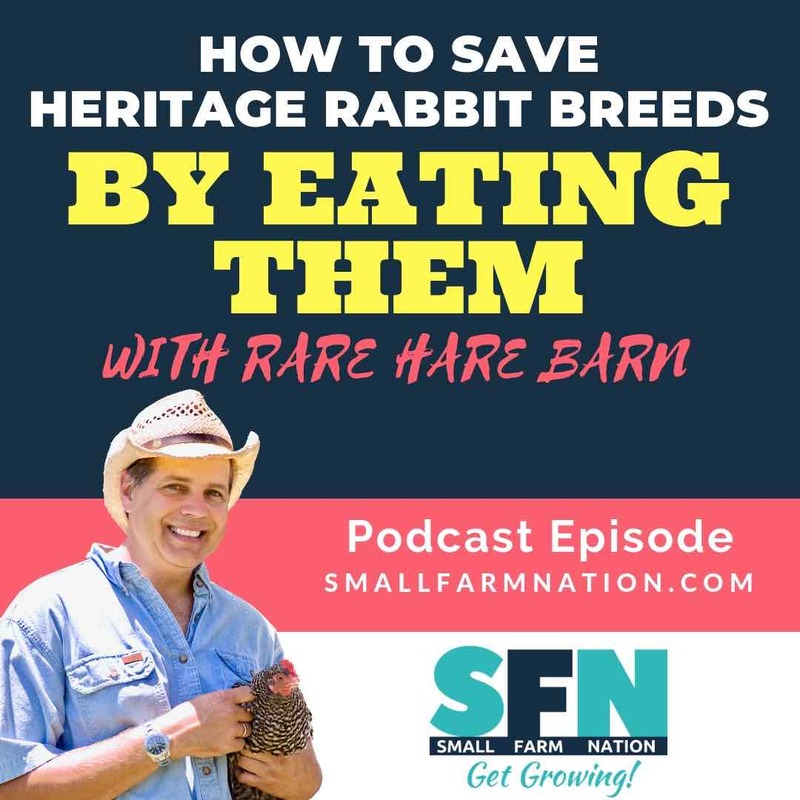 So the perception that some have that there’s a high failure rate in small farms isn’t born out by the data. And one of the reasons that many farming businesses make it that long and go much longer is because they’re subsidized. Not by the government. But by the farmer, who is most often working a second job so that the farm can work. And that’s cool if that’s what you want to do. But, again, that’s more of a hobby farm and not really a farming business. 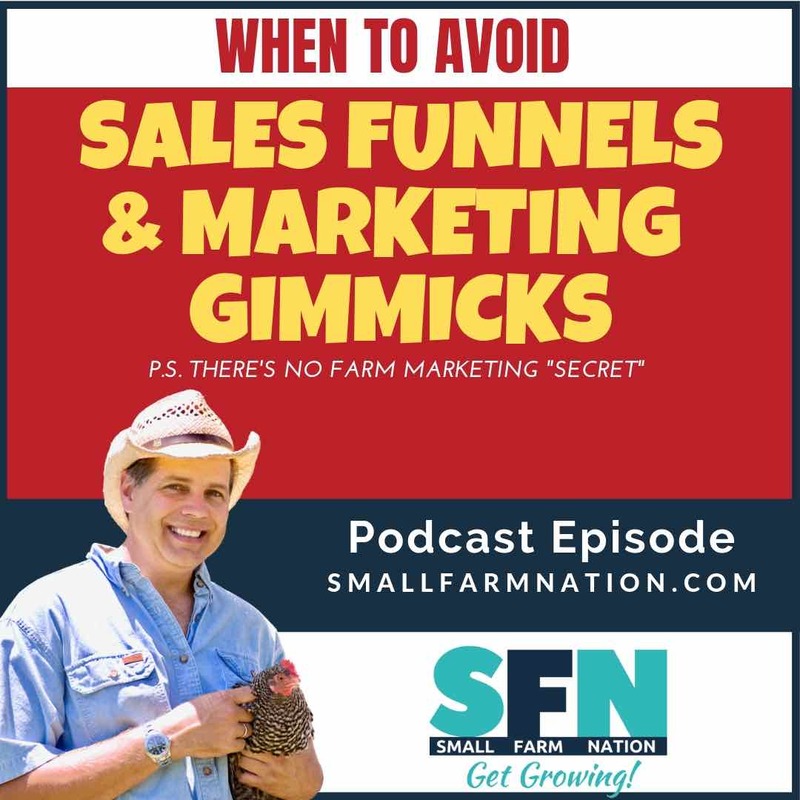 And the point of this episode is to discuss why farming businesses fail and what you can learn from those mistakes. Here’s reason number one that small farms fail. You see, many people are attracted to farming because they love the notion of the lifestyle. They want to farm or grow produce. Or have a collection of animals, and they want to spend their days in the sunshine, producing something with their hands and being out on the land. But is that how you would approach a business opportunity? 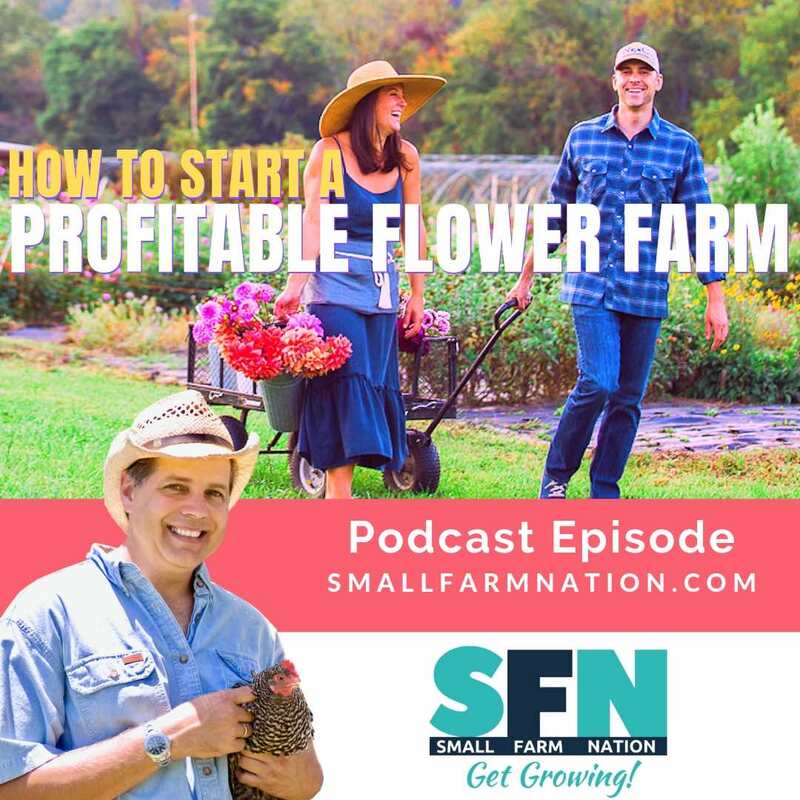 Is that the opportunity you’d pitch to an investor or a bank?…that you want to go work with your hands in the soil and have some animals? Because a business approach means identifying the market first. And that’s very different from what most farmers do, who start simply because they want to grow things. Or produce things like soap, herbs and cheese. So they treat selling and marketing as an afterthought. Now, as I’ve said many times, that’s a mistake. A business is a business because it has customers that buys from it. So you always start with the market in mind. and the title means just that…produce what the market will buy and that you can sell. And sell at an attractive profit margin. That means focusing on high value crops and products. For me, that was artisan cheese, raw milk and grassfed beef. For you it may mean cut flowers, herbs, soaps or what not. But there are many farm enterprises that aren’t high margin or high value, and that leads me into the second reason why small farms fail. In these cases, the math just doesn’t work, because the farmer chose either a low margin product or is targeting a very cost-conscious consumer. And while Wal-Mart can pull off that strategy…at least until Amazon buries them…that’s only because they achieved enormous scale, efficiency and supply chain integration. Those aren’t benefits you’re likely to achieve as a small farmer. 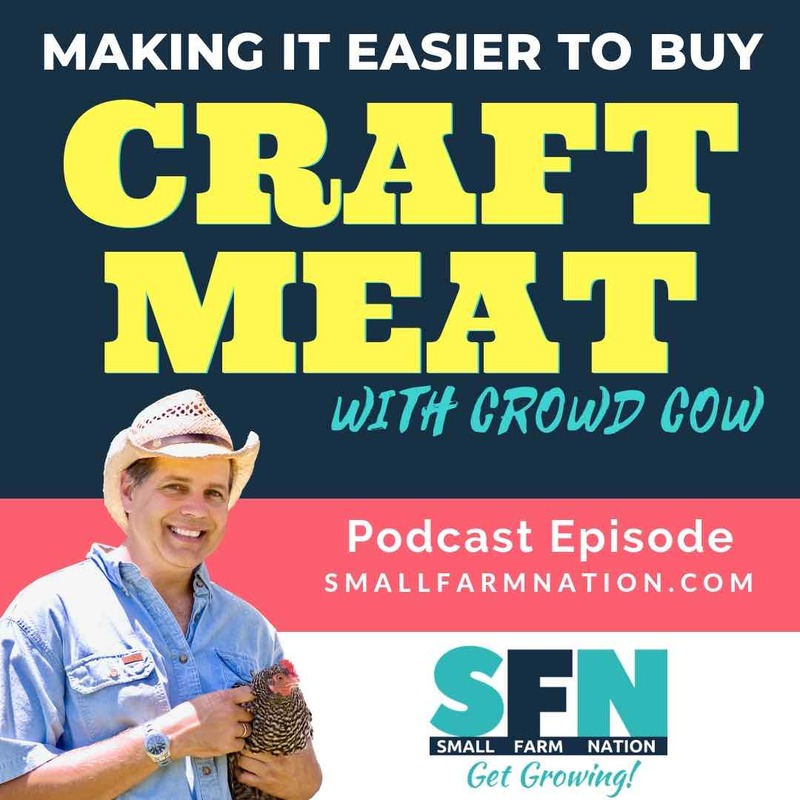 So it’s real difficult in small-scale farming to make it on the price dimension and, let’s be honest here, there’s no business opportunity selling to people who don’t have money. So target opportunities with segments who do have disposable income. And select farm enterprises that don’t have such a low barrier to entry. Because if you choose something that’s easy and cheap to get into, even if you achieve some level of success, it won’t be difficult for others to emulate. So it’s imperative for any small business to choose a business model focused on high profit margin enterprises that targets customers who have the means and willingness to purchase what you’re offering. And that’s doubly important for farmers. But how do you know if you’re producing a high margin farm product? That leads straight into the third reason. 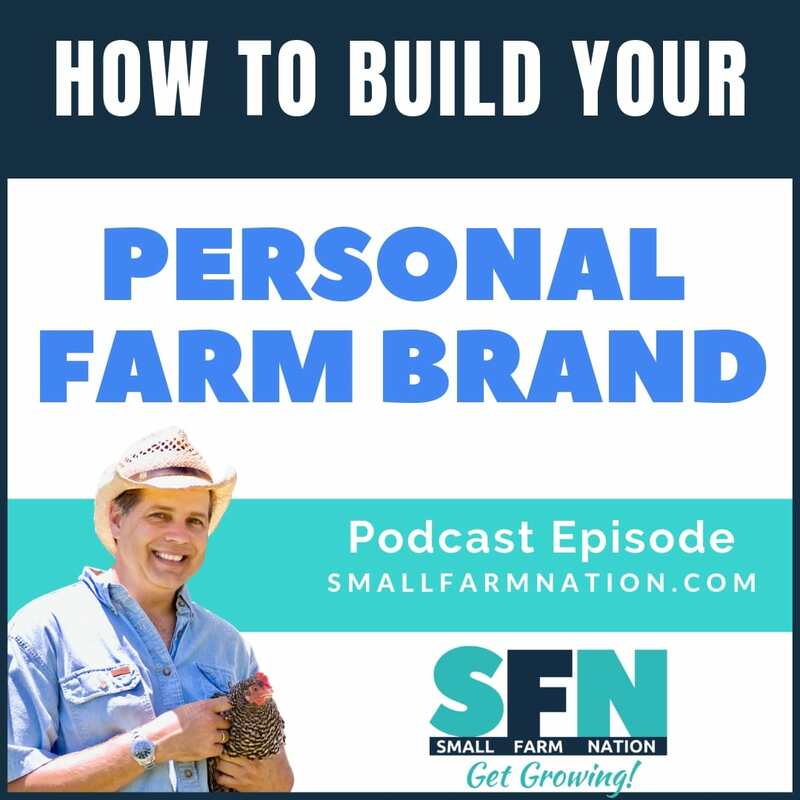 Look…as farmer…or entrepreneur, you must wear many hats We all know that. And it can be overwhelming at times…hell it is overwhelming, all the time. Too often, they don’t know what to do, so accounting is just as much an afterthought as marketing is. They don’t set up proper systems for measuring everything and properly allocating overhead or fixed expenses. They just buy the feed, buy the seed, get to work, go to market and hope they have money at the end of the month. So the farmpreneur doesn’t know what the real cost of production is, what the real fully-allocated profit margins are by product line, by customer segment, by go to market approach and so on. They don’t know where they should be investing more, and where they should cut back. So the numbers are bad. And with bad numbers or no numbers, you’re flying blind. 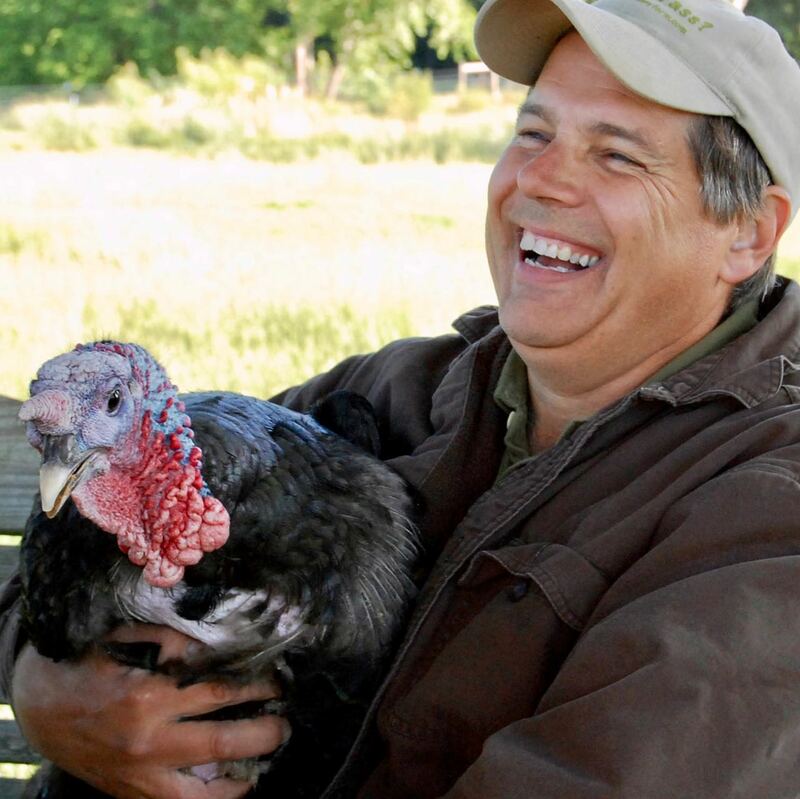 For instance, I’ve mentioned before that we used to raise lots of heritage turkeys for the Thanksgiving market. And while that was a good entree into our other farm products, it was a pretty poor business. Turkey poults are expensive, there’s a reasonably high mortality rate, particularly on pasture. There’s the brooding, feeding and daily care for 6-8 months before you get paid, and when you do, it doesn’t come close to an attractive margin. We “convince ourselves” that it covers our costs…but it doesn’t. Not when you factor in the land cost, the opportunity cost and the sheer time it takes. We get emotionally attached to these enterprises because, let’s face it…we enjoy it. We like the work. But if you had an accounting push an analysis in front of you that showed how much money you were losing for all the time you put in…and how much you could be earning if you focused instead on another enterprise…you’d make the switch in a hurry. And that’s what good, solid accounting can give you. So don’t make that mistake. Know your numbers in detail from day one. Okay, let’s move on to the fourth and probably biggest reason small farms fail. It’s the same reason any small business fails. It lacks a cash cushion. Now, this is the reason WHY you need attractive profit margins. Why you MUST have attractive profit margins. Because there’s a cyclical nature to business. If you think your farm is recession proof, you haven’t been through a real recession. You suffer the loss of a key restaurant or distributor. Or, there’s the entrance of a new competitor that creates price pressure or forces additional advertising investments. Or the filing of a lawsuit because someone got injured or sick. Believe me, I know…I’ve run businesses where we had to settle lawsuits for absolute false claims. But it was cheaper than going through the process. This stuff happens…particularly in this country. And these things happen in any business, so a business has to amass enough earnings over time to weather these storms. And beyond business cycles, farming is impacted by drought, disease, storms and other calamities. Now, I know many people want to get into farming and they don’t have much money. Okay, I get it. I hear you. 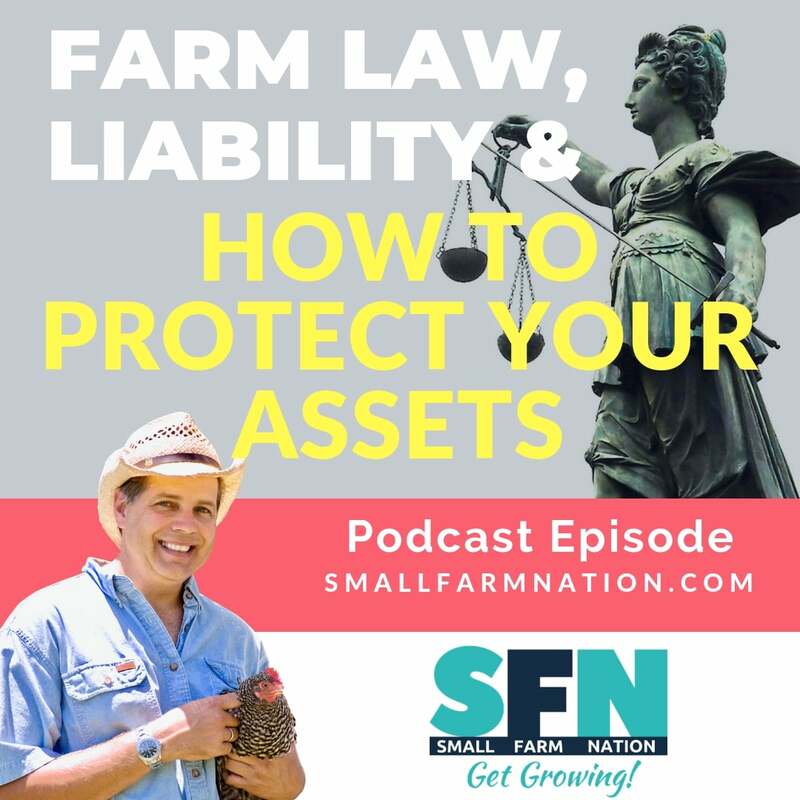 But farming is a business like any other, and if you expect to be successful in any business, you’ve got to have operating capital and cash reserves. If you don’t have it, get it! Don’t complain about it…we’re all adults, here. If you don’t have money, get out and earn some and save it first. Now, I find that this is rather unique to farming. 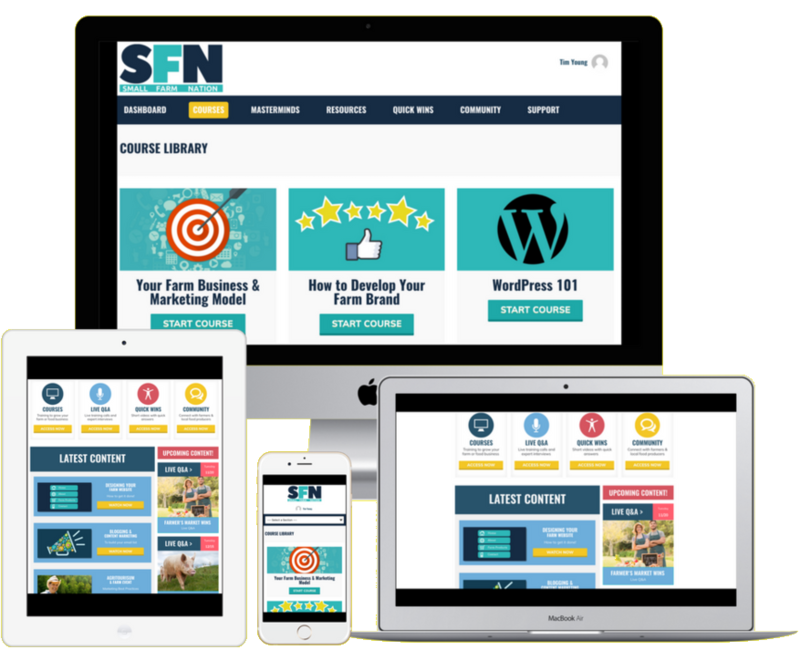 With other businesses I’ve started and run you tend to be laser focused. I built a high-tech marketing agency that was focused squarely on offering a certain set of services to mid to large B2B tech firms. Very focused! My wife and I also had a gourmet online fudge business for a brief period of time, but we didn’t try to make anything other than fudge. That was the business…and it was killer fudge. But with farming, it’s not only easy to venture into countless enterprises…it’s almost like a drug. With livestock, you get some chickens then rationalize adding pigs, cows, sheep, goats, rabbits…even donkeys and geese to the mix. Before you know it…you’ve got a petting zoo. Only you’re not operating a petting zoo, are you? This goes back to the accounting issue of not knowing what’s profitable and what’s not, but also to not treating the farm as a business. Not starting with the market in mind. Now, the reason farms often make this mistake of trying to do too much is the next reason why they fail. I’ve discussed this before and the best example I know to illustrate this point is Joel Salatin at Polyface. As you know, Joel is a very popular proponent of small-scale sustainable agriculture. 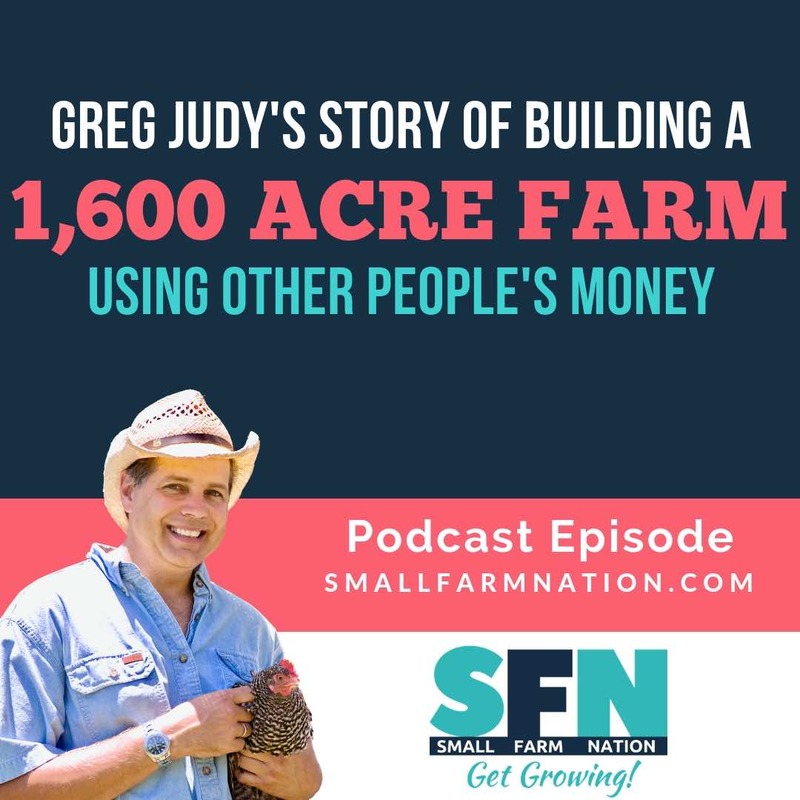 He and his farm are featured in pretty much any documentary on food choices and industrial agriculture. He’s a prolific, opinionated and inspiring author. He speaks frequently at conferences and events, and his farm doors are open, so to speak, so countless people visit his farm. And fall in love with what he’s accomplished. So, starry eyed, they rush back to emulate his model. And some do a fine job of pulling it off. At best, they struggle and wonder why Polyface can get customers and run a profitable farm, but they can’t. At worst, they give up after a year or two and say it doesn’t work. In other words, they don’t understand why the model they’re trying to emulate worked in the first place. In my view, the Polyface model works today for three reasons. Polyface has achieved scale. They don’t produce 100 chickens a year. They produce well over 20,000. 20,000 is the maximum you can do on a single farm, at least under the PL90-492 exemption, so they lease other farms. And they don’t have 10 cows. They have over 1,000. So that’s a sizable grassfed beef operation. So if you’re going to set out to replicate some of that success understand you’ll need scale too, and that also means not being distracted by too many farming enterprises. I’ve already discussed that as a reason why farms fail. Now, their scale leads into another reason they’re successful. They’re VERY efficient! 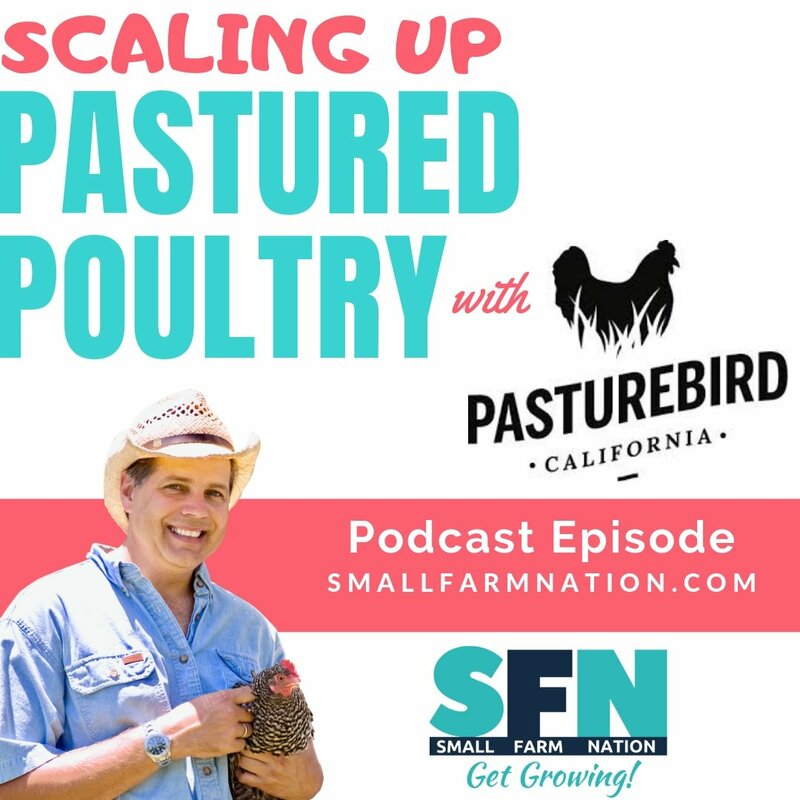 They process chickens faster, cheaper and more efficiently than the rest of us, they handle chores more efficiently than the rest of us and they serve more customers more efficiently than the rest of us. But this is all a result of the scale they’ve achieved. 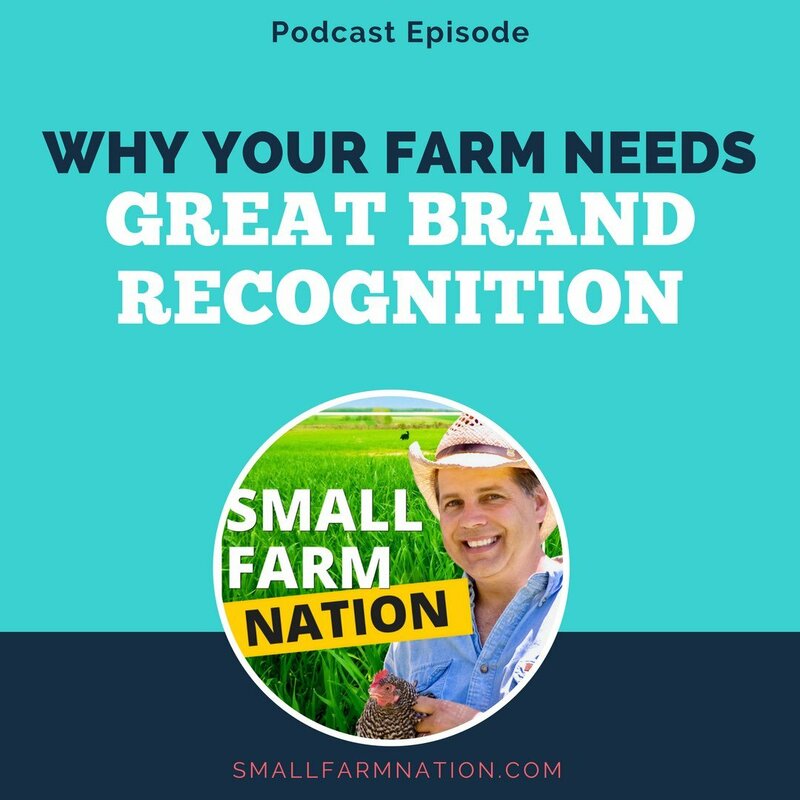 Finally, and I know I’ve said this before, they’re successful because of the wonderful success Joel has had branding his farm. He’s an innately effective marketer. So if you’re gonna get inspired and go out and attempt to emulate that model, ask yourself…can you achieve scale, efficiency and the branding that they have? Or if you’re modeling after someone else, do you really understand their success drivers and can you replicate that? Now, there’s another reason too that Polyface is successful. And it’s easy to look at Polyface today and say, wow, I’d like to have a farm like that. The “before picture” was a lot of years scraping by, not incurring debt and tirelessly evangelizing about the farm’s practices. Okay, let’s move on to reason number 7 why farms fail. 7) They make marketing an afterthought. And they make two big mistakes in this regard. 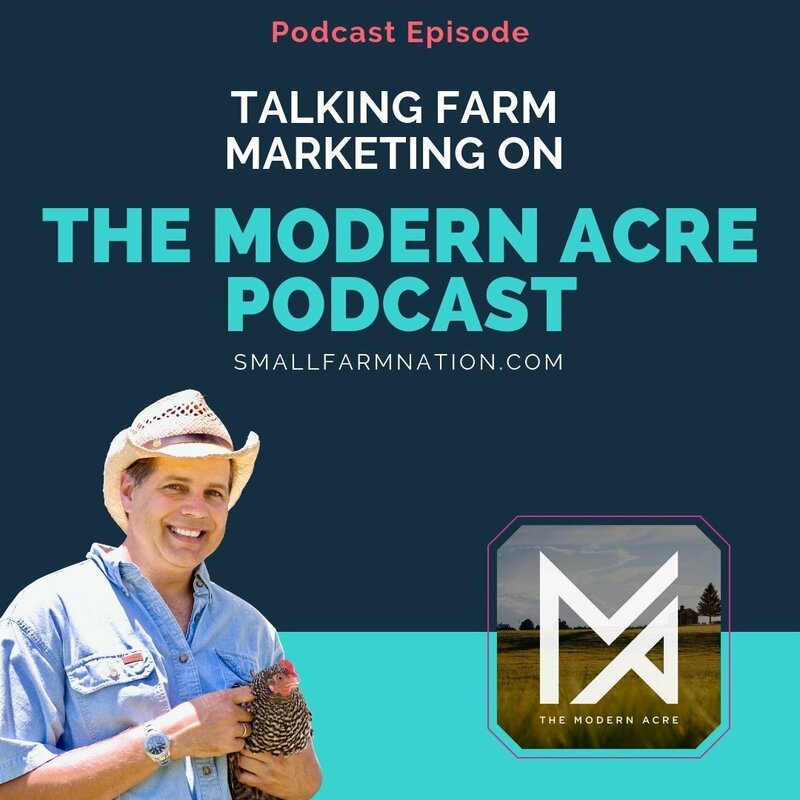 And as I said in a previous post the time to start marketing your farm is BEFORE you start farming. Go back and listen to that episode if you want to understand why. 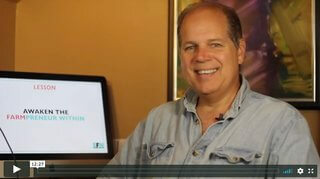 Now, the second mistake related to marketing is this, and it’s commonplace. When they do start marketing their ideology gets in the way. They get so caught up in all their personal beliefs and values that they let that drive their marketing. You know what I’m talking about. They say GMO is bad, industrial food will make you sick, CAFOs are horrific. It’s not only copycat language that we see everywhere that does nothing to differentiate the farm, but it’s fear-based, negative language. And fear is not a good way to get people to buy your products…telling them that industrial food will make them sick or is bad for them…that won’t work for most people. And this is a problem not just on farm websites. I see it all the time on Facebook, often when a farmer posts a link to an article and then goes into a diatribe about all that’s wrong with the world. That doesn’t exactly inspire, does it? Imagine if the world’s great marketers, such as Apple did that. Instead of showing you all the amazing things they’re products can do for you…and that you can do with them…that they talked only about how you’ll have dropped calls with other solutions. Or you’ll have to carry a separate camera and that’s a hassle. Or that you’ll need a paper map instead of their GPS. They don’t hammer on that stuff. They show you the life you can have…the joy and convenience you can have, if you buy their products. 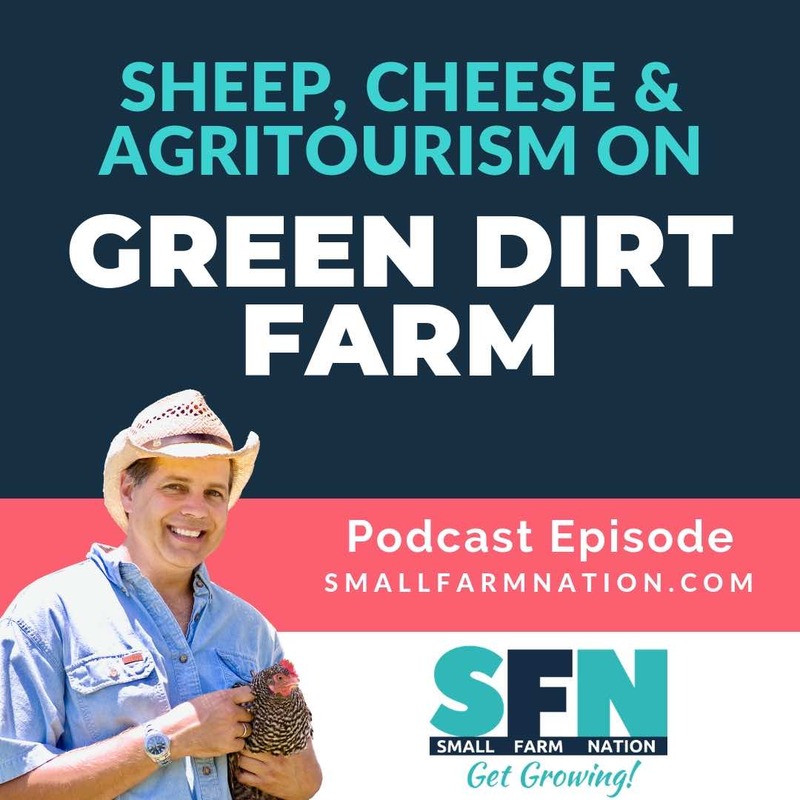 So there’s WAY too much negative language in the world of sustainable farming, but…this creates an opportunity for you to be different. 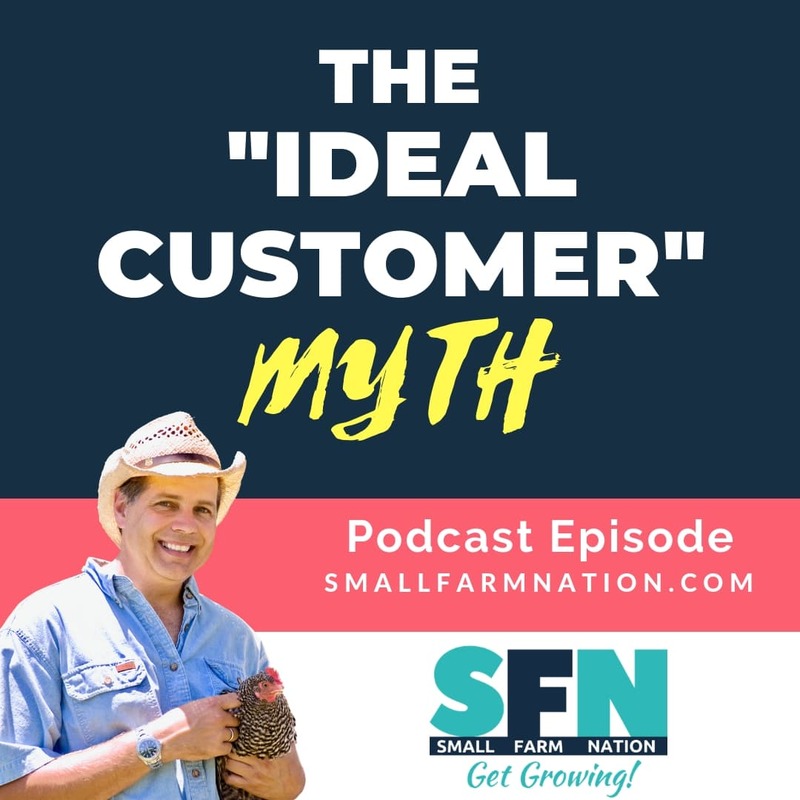 Instead of emphasizing what’s wrong with the world, focus on why you farm the way you do and the joy, health and connection your customers can realize if they support you. Show them with pictures, tell them with emotive, positive words. Because most farmers aren’t doing this. 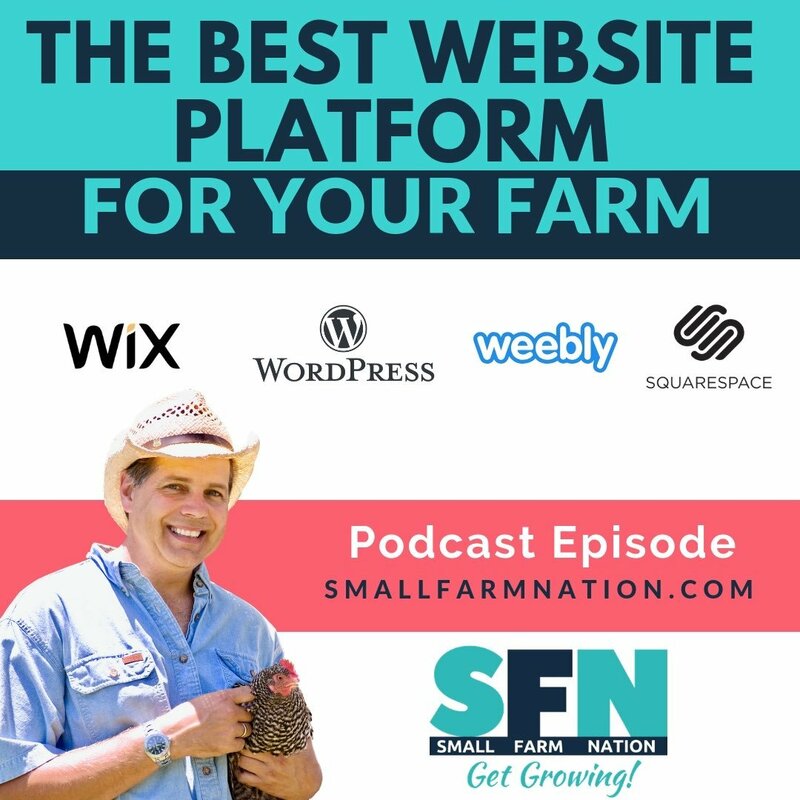 So the good news is that if you can market positively…with a vision for positive solutions and change, it’ll be music to people’s ears, and it will differentiate you as a farmer. 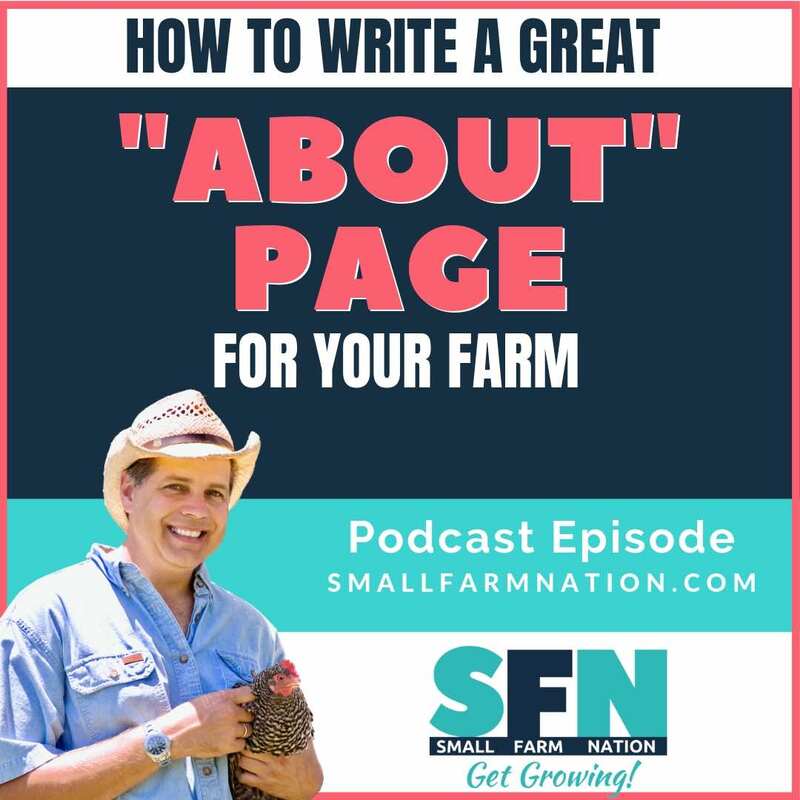 This episode will help you understand why farming businesses fail and what you can learn from those mistakes. 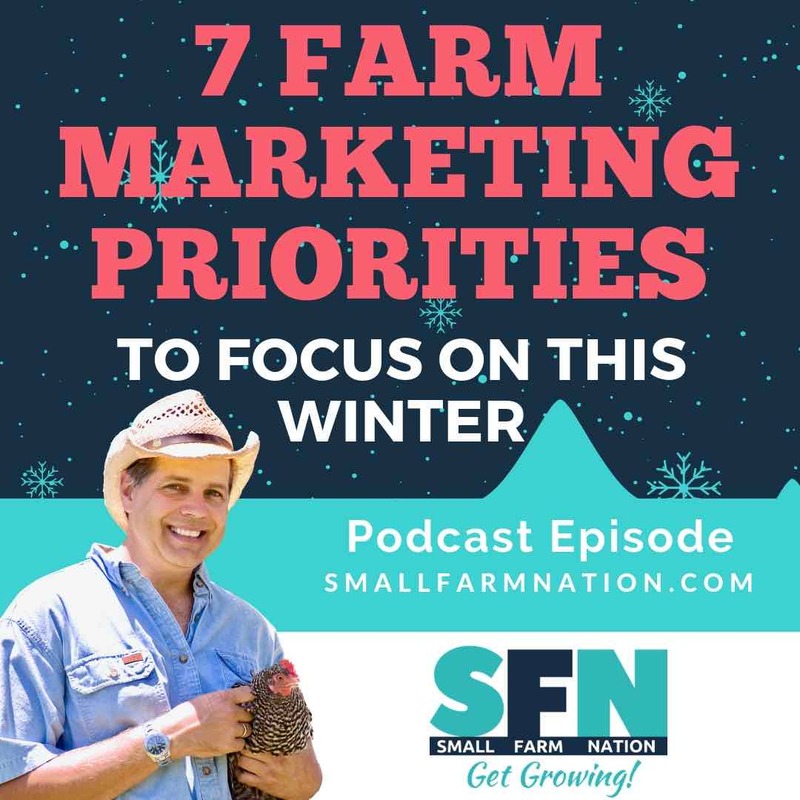 Listen in as I give you food for thought on how to make sure your farming business is one that will thrive!